Well, that was a pretty ominous last post! Here we are almost a year later and I haven't written a single blog entry. 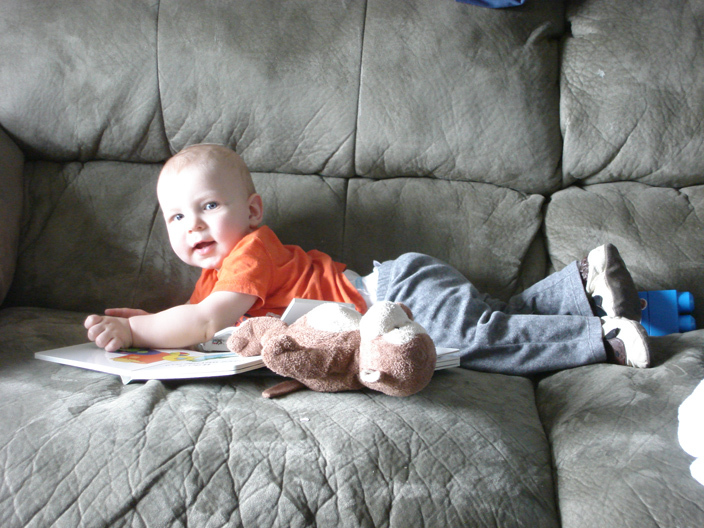 I went into labor a few hours after Easter dinner and had a brand new baby boy by morning of the next day! Then I was hospitalized with a serious infection for 2 weeks. After many antibiotics, and many prayers (including the anointing of the sick from our priest), I got to come home and my dear husband helped me work my way back up to caring for our two little ones. So, I'm not dead, just insanely busy and grateful for every moment of it! Needless to say, my hospital experience was pretty eye-opening. I realized that I have a vocation to fulfill, and first and foremost it is not as an artist, but as a wife and mother. Since my recovery, I've been making a special effort, in addition to the normal household tasks (which seem to require a superhuman amount of strength some days), to build our family culture. We celebrated the Feast of St. Joseph this week for the first time. 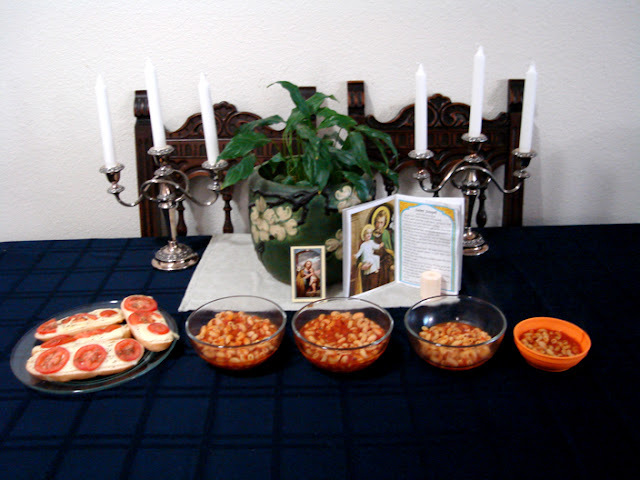 I decorated the table and made pasta e fagioli- a good Lenten recipe from an Italian friend. All of the beautiful things on our table were generous gifts from friends over the years, including the real lily plant that we happened to have on hand! St. Joseph is traditionally shown holding a staff blooming lilies. Happy St. Patrick's Day! Which we also celebrated this week since I'm really part Irish and not any Italian. 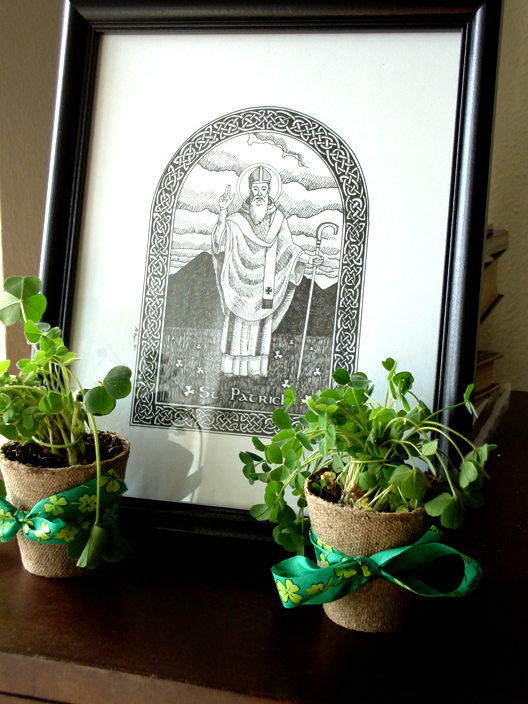 This is the pen and ink drawing of St. Patrick I made last year. I also filled small biodegradable planting pots with a little of the clover I've been growing on my balcony over the winter. I had my daughter give one to her friend next door. This baby loves books, and that makes both of us happy! 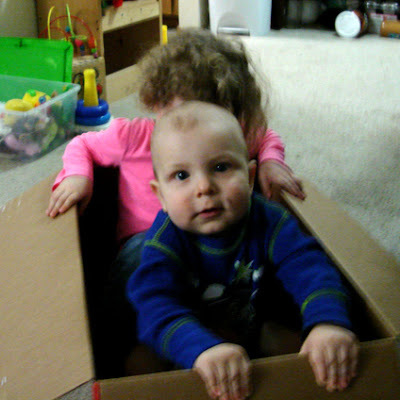 Two children in a box. What more is there to say about that? 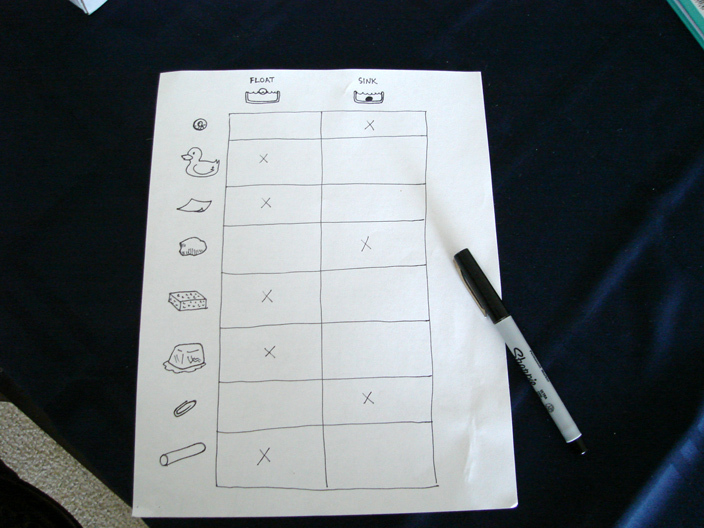 Our checklist for which objects sink or float in water. I've started doing some homeschool activities with my preschool age daughter and having a lot of fun in the process. Some days are difficult, like waking up several times in the night with a baby, and then waking up again before dawn because he's wide awake now and ready to start the day. 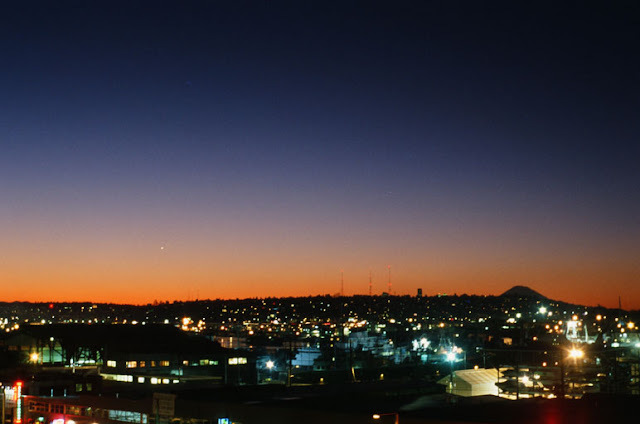 But facing that hard reality and forcing myself out of bed, I was greeted with the beautiful cosmic reality of the planet Venus rising over Seattle just before the Sun. (That single large star low in the sky). Here is another photograph of the night sky from our summer camping trip. I just got these photos recently because I do these the old fashioned way with an SLR on slide film, and it takes me months to work my way through the roll. There's nothing like being out in nature to clear the mind, especially contemplating the stars at night. 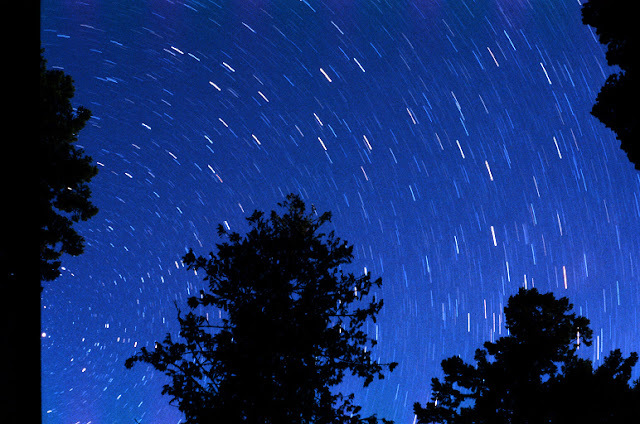 This is a long exposure that shows how the stars appear to move over time because of the Earth's rotation. So there you have it. I've given birth, contemplated my mortality, helped children and plants to grow, celebrated feasts and changing seasons, and observed the procession of the heavens. A painfully beautiful year full of God's grace and providence. Posted by A.R. at 3/21/2013 Labels: family and home, p.h.f.r. Your St. Patrick drawing is absolutely BEAUTIFUL...you should sell copies! I am a total stranger who stumbled upon your blog today, but I just want to thank you for posting this! It sounds like you have had a very challenging year. Your revelation of your vocation as a wife and mother taking priority over that of an artist is so powerful. It really touched me. Such a difficult, bittersweet, but truly beautiful thing! Thank you for being faithful! Thank you for being so kind, anonymous!